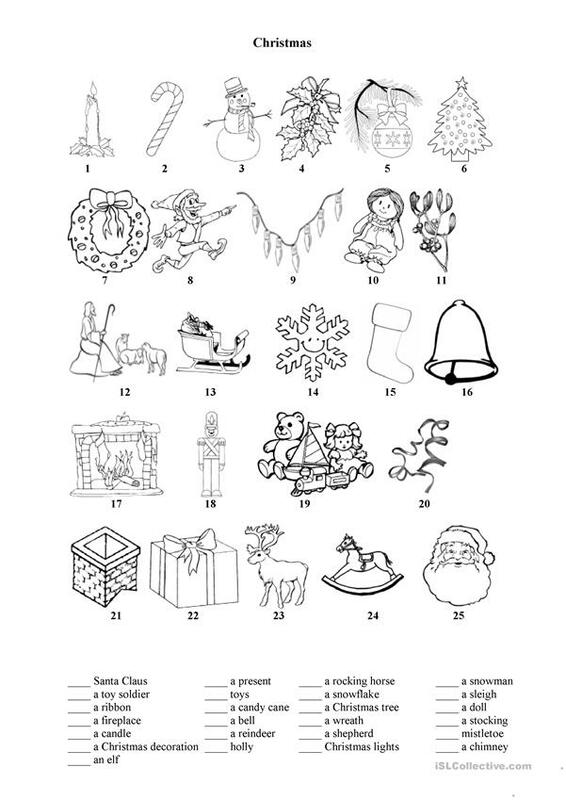 Christmas vocabulary - match the words and the pictures. Print only the first page. 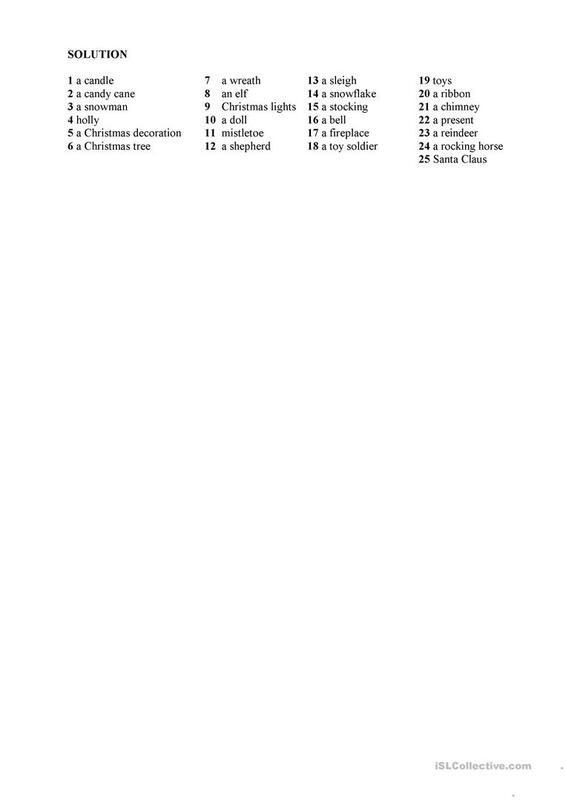 The vocabulary can then be used to play games such as "Christmas bingo". Key included. The above downloadable handout is best suited for high school students and elementary school students at Elementary (A1) and Pre-intermediate (A2) level. It features the vocabulary topic of Christmas. There is an answer key provided with the exercises. zebrozebry is from/lives in Czech Republic and has been a member of iSLCollective since 2012-10-06 22:30:22. zebrozebry last logged in on 2019-04-21 00:17:20, and has shared 244 resources on iSLCollective so far.